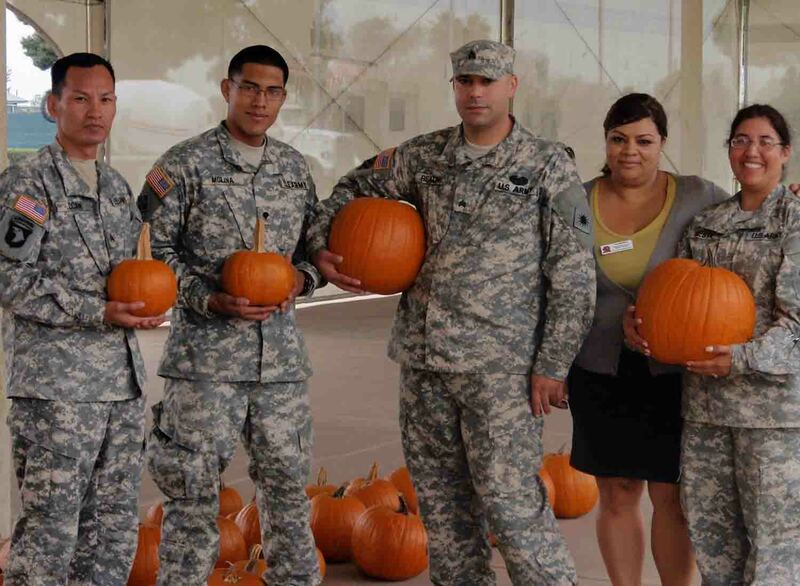 Agromin donated 200 pumpkins to soldiers and their families at the Joint Forces Training Base (JFTB) in Los Alamitos. 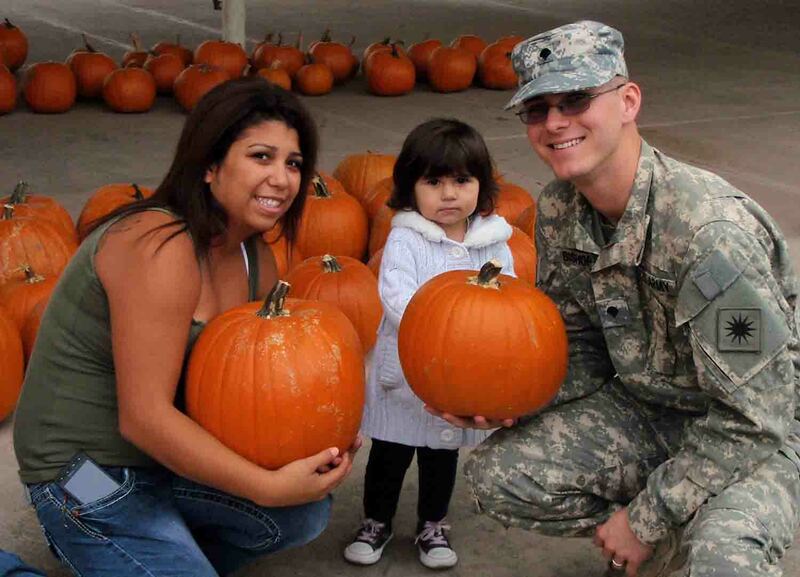 Among the families enjoying choosing their pumpkins were the Bishops: SPC Joseph, his wife Kathy, and their 22-month old daughter Aliana. Joseph just returned from a yearlong deployment in Iraq. Aliana had a wonderful time wandering through the lines of pumpkins before choosing a couple that were perfect. Cara Borm, family assistance network specialist at JFTB, partnered with Agromin to provide free pumpkins for local soldiers and their families. Agromin is proud to support our troops and be part of the local California National Guard Family Assistance Network. The network is a resource to Guard and other military families--especially those involved in current deployments.